When your big day arrives, your experienced vendors will be well prepared with everything needed to perfect your day. However, there are a few things you will still be responsible for, and during all the excitement it can be very easy to forget even the simplest of things. So, we have provided a helpful list of necessities you should pack before and bring with you on your wedding day. 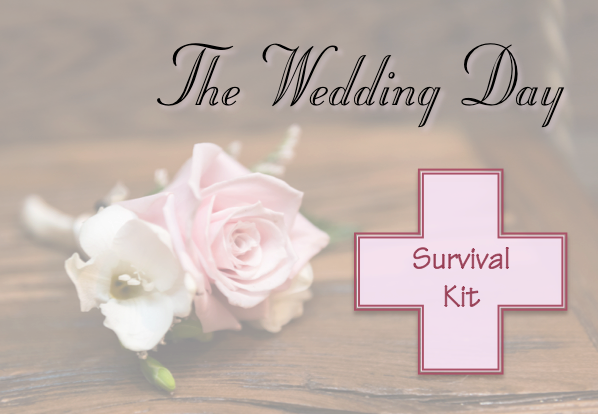 And… when you hire a top-notch, dedicated wedding planner such as Blush Pink Weddings, we will have at least these items already on hand, just in case. I'm so excited to share my stories and advice with you. Please check back soon.